QEP Board Seam Tape was designed for use in seaming all types of cement backerboard and tile underlayment. The Cement Board Screws are designed for use in the attachment of Durock®, Wonderboard® and HardieBacker® cement board. The QEP Magnetic Hammer holds nails in place - speeds up work time when nailing a large area and prevents injury. 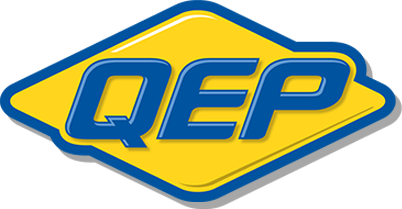 QEP’s Cement Board Seam Tape is essential for professional cement board installations. This product is ideal for all types of concrete backerboard, including Durock®, Wonderboard® and Hardiebacker® cement board. This alkali resistant self-adhesive tape reduces taping time and is made up of extra strong fiberglass mesh that resists tears and shrinking for long lasting joint strength.